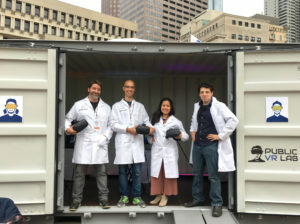 In 2015, our executive director of BIG and co-founder of the Public VR Lab, Kathy Bisbee, along with partner and co-founder Al Williams, of our sister community media center in Northampton, MA, began to research in VR storytelling and accessibility and planted the seeds for the Public VR Lab’s current work. She wanted to provide the same kind of media training and accessibility BIG had offered as a community media center for 35 years in traditional media- in the emerging media space. 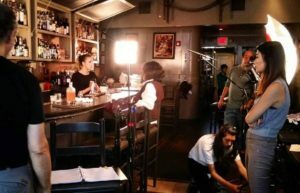 Our traditional productions include our staff, volunteers, independent producers, and interns. This production was part of a remake of the Princess Bride in partnership with NCTV’s Crowdsourced Cinema, a community art project. We gained a deep understanding of how it would impact our work providing training in storytelling, community-based journalism projects. and collaborations with journalists, how to maintain and train on equipment use and how to create productions in VR. We’ve now been training journalists, local Brookline residents, filmmakers, librarians, designers, government agencies, nonprofits, community media arts centers, and educators how to create and promote all forms of VR. In 2018, our goals are to increase accessibility in the emerging media space, and to support storytellers of all kinds, in understanding VR and creating community-based stories and news in VR. We even prototyped a VR Toolkit for other nonprofits and public-interest organizations. 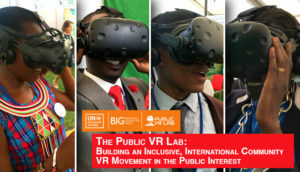 Click on the links below to read more about the VR-in-the-public-interest production projects we’ve developed and deployed over the past two years. 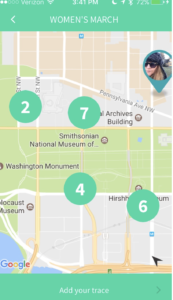 Boston Marathon Moments & The 2017 Women’s March in D.C.
We also offer VR Demo and/or Creator toolkits. We use our R&D to put together all that you need to enable easy, tech-supported kits and training to start demoing VR in your community or to create and test your VR content on an HTC VIVE.